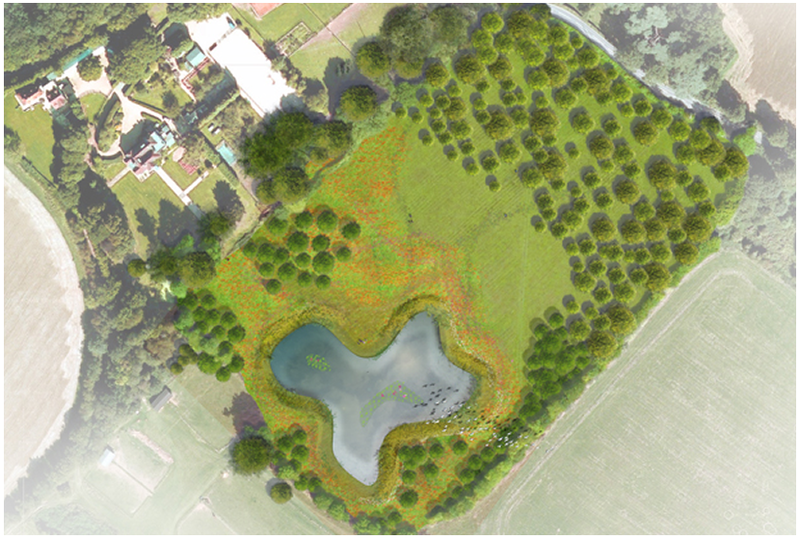 ELD were approached by a specialist West Country firm, Perry Chesterton, Pond & Lake Construction, to produce an imaginative landscape scheme for this private client; creating a proposed wildlife lake to be used for fishing & education of grandchildren who have lived abroad. 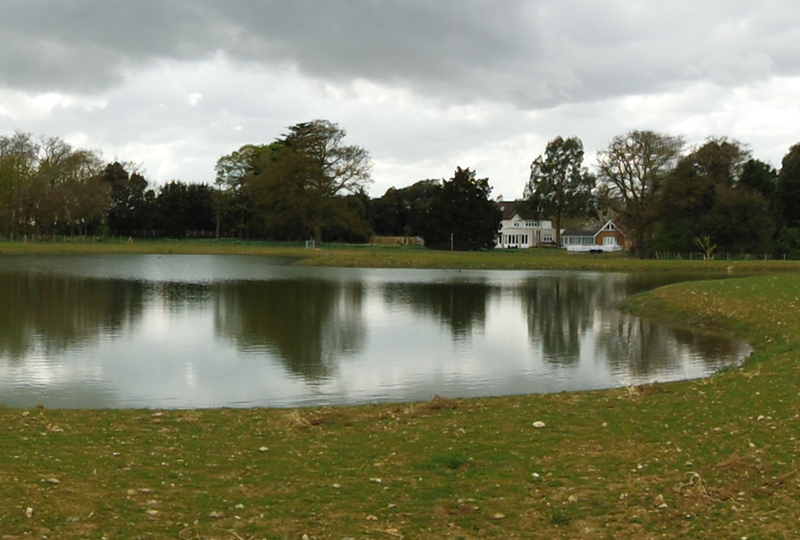 The large agricultural field to the east of the house has been transformed, with an irregular shaped, 1.5ha naturalised wildlife lake taking centre stage. The irregular shape allows inlets to the lake to be planted with specimens & native tree species, filtering & framing the views from the house & leading the eye out towards the wider landscape. A shallow raised bund will form the boundary to the north, preventing views in from the road whilst allowing redistribution of excess spoil, avoiding removal from site. Bunds are to be planted with native shelter belt planting, screening the lake from the surrounding roads whilst providing a future, sustainable firewood supply. Pictorial meadows shall surround the lake, encouraging increased biodiversity through a variety of native species flowers & grasses. 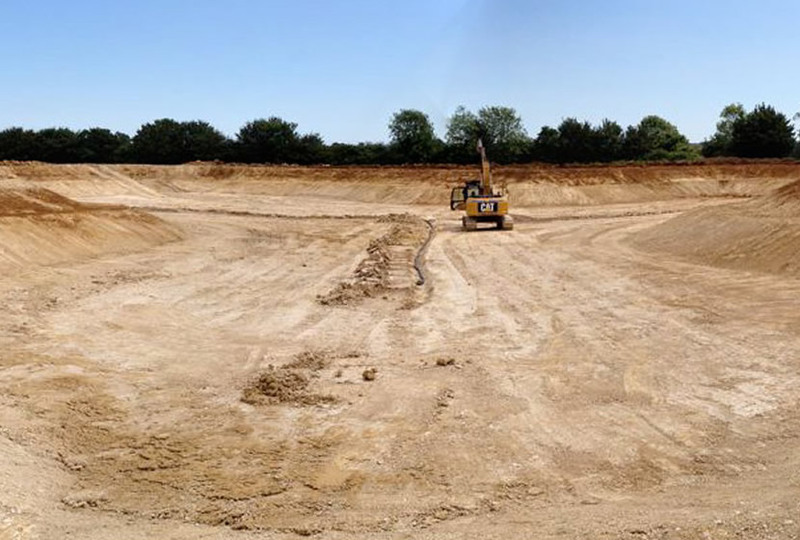 The pond itself is to be filled from a borehole, powered by a wind turbine, planted with aquatics & marginal species to increase diversity of fauna & flora. The application was welcomed by the local authority who recognise the increase in biodiversity potential to an otherwise dry Landscape.